The medical power of attorney is a legal instrument that allows you to choose a person who will make medical decisions for you in case you are unable to make them yourself. Such a person is your legal representative tasked with making healthcare decisions for you in the event of your incapacitation. What medical decisions are you talking about? The medical power of attorney will allow you to have a person to make all the medical decisions you allow. However, you retain the ability to limit the kind of decisions that such a person can make on your behalf. For instance, you may withhold their ability to decide that you be put on life support in case there’s no hope of recovery. Some of the decisions that you may empower them to undertake on your behalf include their mandate to decide for you in the event of nursing care, psychiatric treatment, organ donation, and home healthcare. How Does Medical Attorney Differ from a Living Will? A living will is different from the medical power attorney. First, another person is allowed to make decisions for you in the case of medical power of attorney whereas a living will is a document containing decisions that you made yourself. A living will tells the doctor expressly not to put you on a live support machine in case there’s no hope of recovery, for example. It is your decision made when you were in perfect body and mental health. 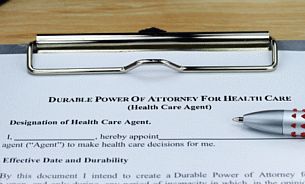 A medical power of attorney gives another person the power to make such decision for you. A living will helps you decide on health issues that you can predict. A medical power of attorney gives another person the mandate to decide for you in the future because you may not predict the fate of your health. Do I need both a living will and a medical power of attorney? Although they sound different, you need both of them. This is because the decisions you make in a living will should be implemented by the person you name in the medical power of attorney.